A video that me and my brother made when we were younger. We used these weapons in the video. 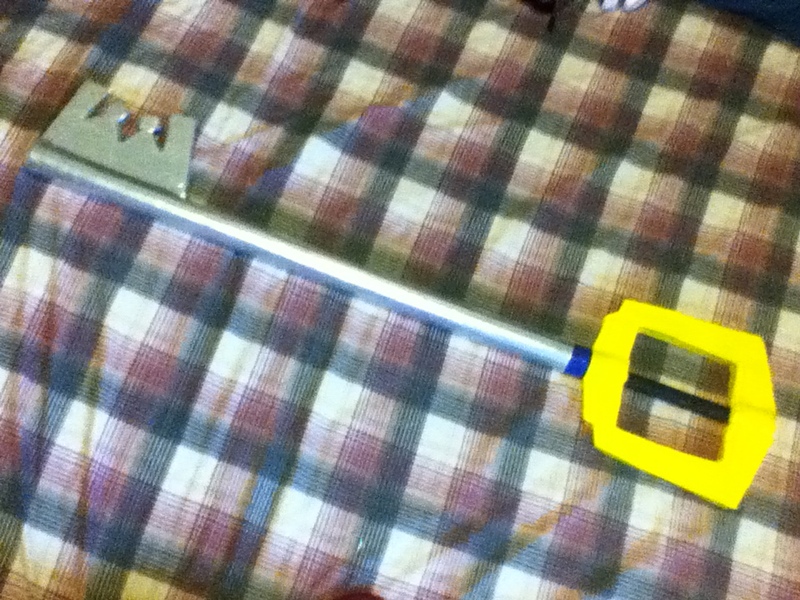 Example Picture "Foam Weapon - Keyblade"
We've been making these foam weapons for about 8 years now and make them on request. These weapons can be used like toys, but they have the potential to injure someone if used inappropriately. We highly recommend the use of these weapons for LARPing and Cosplaying, but they can also be used for any other personal needs. The weapon itself is constructed of a solid plastic core that is the handle. The frame of the weapon is made using foam. As for the outer layer of the weapon, colored duct tape is used for visual details and durability. Duct tape is NOT waterproof, so don't soak the weapons in water. When cleaning, simply use a damp towel or cloth to wipe away dirt and dust. The prices will vary depending on what you request. Meaning that even if you request something big or small, what influences the price is the materials used to please your request. An example would be paying the price of "Large" weapon because the medium sized weapon that was requested has a more complex design that uses more material. Shipping: It will be a flat rate of $30 for Small or Mediums and $60 for Larges. Shipping will vary depending on location due to their size, but give or take $10 for Small/Medium orders and $20 for Large orders. Don't know how to order? Click here for the order process! Questions? Feel free to contact me via the Request/Contact Form!